When we’re feeling off balance, we need to take stock to recalibrate. April is a great month to do this since the universal energy is superbly aligned to help us repurpose and reinvent ourselves. I watched a great documentary on Elton John last night, in which he confessed about the dark time he went through in the late 70’s when his song ‘Sacrifice,’ was released. His journey is a perfect example to encourage you to repurpose and reframe what you already have to bring out the best in you. The first two lines of ‘Sacrifice,’ ‘it’s a human sign when things go wrong,’ mirrored the dark place he found himself in. A darkness expressed in his all black attire and low key deliverance to the crowd and the band (!) during a concert that it would be his last. Fortunately he saw and worked on the signs, retreating and diving into what lit him up, learning and letting go of what was stifling him. In essence he found his true self at the core and then set about shining a light on it. He bounced back using his music for a greater purpose while energising and entertaining people with his talents and flamboyant, colourful character. It’s hard to imagine a world devoid of the last 40 years of his music. Elton’s story and the lyrics are a poignant reminder to look within our own lives when we feel off balance. I also love the volcano analogy the 17th century Greek astronomer Johannes Kepier used to convey what he believed was a sign the earth was crying. Tears are therapeutic. They release pain and if you see them in terms of molten ash, you can use them to burn the old and give rise to the new like the Phoenix. Check in with the signs in your own life. If you find you’re juggling too much and sacrificing yourself for the sake of someone else, or what you think you should do, it’s time to put everything down and get to the heart of what’s making you wobble and why life is too hot to handle. It’s hard to forge forward while you’re being pulled in so many different directions; especially as you’re undoubtedly carrying excess baggage that’s weighing you down. I can help you out of the dark space and support you over the hump of what I see as the tipping point of discovering how best to shine your light on the world using the natural resources you have buried inside. I’ve been there and got the t-shirt more than once! In fact, I’m going through another evolving period myself, but have the tools to renew my energy and lift my game to a place where I can shine even brighter. Remember life is a precious gift – as are you. Don’t waste it. If like my client, you have no idea what that is or how to find it, don’t waste your time and energy by attempting to do it alone. I don’t doubt you’ll get there eventually, but it’s exhausting and frigging lonely. Put the bounce back in your life. Learn to live it in a way that fulfills, nurtures and nourishes your own needs. 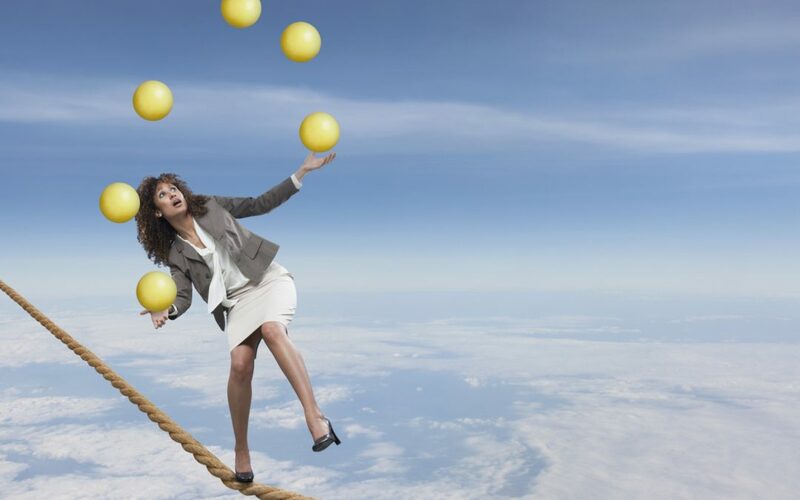 Give yourself the opportunity to learn to juggle lifes curveballs with ease and expertise. If you want to make a full commitment to your future, click here to discover the range of services I offer. I can juggle these too, so don’t be afraid to ask if you’d like something tailored to your own needs. WTF! How can I fit in? Is your life fulfilling or just plain full?